Over the last 10 years, we have witnessed a dramatic transformation of the workplace. 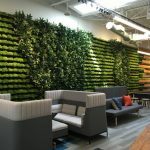 This transformation continues, as cubes with high walls and private offices with minimal glass are often being replaced with an open environment and a variety of work settings that supports collaboration. Thanks to the untethering of the desktop, workers can now move around the office or work virtually. As the workplace evolves, studies show that open (or “hybrid”) offices typically promote creativity and productivity, improve the bottom-line, enhance the organization’s culture and brand, and facilitate top talent recruitment and retention. While the move to open offices is inexorable (over 70 percent of offices today are open environments), it is fraught with challenges. Today’s workplace often contains five generations working together, including Baby Boomers, Millennials, and Gen Z—all of whom have different mindsets and skillsets. Baby Boomers and senior managers in particular often find it hard to adjust to new technology and environments that don’t cater to entitlement and privacy issues. This shift has caused project managers (PMs), facility managers, brokers, and architects to think differently about their roles. For many years, project managers have fulfilled a critical role. In addition to overseeing the work of vendors (e.g., architects, contractors, engineers) and integrating services with commercial real estate brokers, they served as mechanics… responsible for staffing, budgeting, scheduling, and implementation, including IT, AV, security, furniture, and relocation management. They needed to get the job done on time and on budget. While these are mission-critical activities, PMs seldom were involved in the big picture, including visioning, strategic planning, and product delivery. The expertise of a mechanic but also the much broader skills of a holistic engineer. A true client partner and advocate, providing non-biased counsel and leadership from start to finish. An experienced professional who applies lessons of sociology and psychology and is sensitive to different employee demographics. One who listens and has excellent communication skills… who is passionate and inspirational. One who combines strategic planning and tactical know-how. One who understands infrastructure, operational systems, and permitting. One who has the business acumen needed to align real estate plans with corporate objectives. One who is part architect, part space planner, part interior designer… but also part visionary. A coach/facilitator/leader who collaborates with staff and vendors… but is also nimble enough to overcome barriers and strong enough to push for solutions that meet the client’s best interests. In this regard, the modern CPM transcends the traditional role of project manager and is actually a process director who understands not only design and construction, but also the organization’s culture and branding. So, the background, experience, and personality of the modern CPM are paramount. At the end of the day, it’s a team effort with the CPM serving as captain—and a project’s success is often tied to the collective chemistry of all parties. As noted, the workplace keeps evolving, and employee demographics keep changing, with many Baby Boomers retiring and tech-savvy young professionals asserting themselves. CPMs need to address these dynamics and consider the needs of all workers—and in this light, another essential skill today is change management. This involves training, educating and engaging employees, including those who may be uncomfortable with open environments. It’s tough enough just to get people to embrace change and face the fear of the unknown. But dealing effectively with “pushback” can make or break a workplace transformation. As part of today’s holistic approach to project management, the ideal CPM is someone who has worked with brokers and real estate providers to provide integrated services. CPMs should be involved from the get-go in tenant improvement discussions, lease negotiations, and work letters. Whether it’s partnering with a commercial real estate firm, a tech startup, or an established law firm, today’s CPMs should have the required background. They should be able to say, “Been there, done that.” In fact, there’s no substitute for having walked in a client’s shoes, and the more CPMs understand where clients are coming from and where they want to go, the better they will be able to provide solutions. This begs the need for organizations to be judicious about selecting a CPM. Indeed, workplace transformation isn’t an easy process, and putting together the right team and right leader is critical. It may seem daunting to find this new breed of CPM, and chances are that such an individual is not on your staff. But if you consider the enormous risks and rewards of office transformation, you will likely agree with hundreds of thousands of organizations locally and worldwide that have seen the value in this endeavor. One thing that hasn’t changed over the years is the need to cut costs and bolster the bottom-line. CPMs can help in this regard by identifying the value proposition and mapping out routes to the best ROI. It may be useful to think of the workplace as a tool that facilitates a process, which is often product development and delivery. The CPM is the process director. Someone driven to provide the highest level of value and keep you as competitive as possible in the marketplace. Today, more than ever, it’s all about workplace solutions… because the workplace truly matters! Emphasis on individual needs and interactions. Flexibility to respond to change and support change management. Finding solutions that enhance client’s competitive advantage. Promoting trust among staff and stakeholders. Acknowledging the importance of face-to-face interactions. Understanding the importance of simplicity and efficiency. Reflecting and adapting throughout the process. Our engagement with an international enterprise software company placed us in the center of alignment between the strategic workplace direction and end-user desires. The strategic direction was a very open, benching model, the end-users were vocal about their need to stay in the private office, large cubicles, high-panel model they have been residing in for years. This divergence created a significant collision point between the defined strategic direction and the end-users. After significant PM/design team discussion on the resolution, we concluded that the best course of action was to engage the end-user management team in an alternative workplace discussion process. We set out to develop an engagement process that would show them that the PM/design team was hearing their requests and that we understood their concerns. In addition, this process would initiate communicating a view of thinking differently about the workplace and, in particular, their personal space. We developed a two-day, full-immersion change management process that began with discussing their workday, what they did, and how they did it. We toured them through other spaces in northern California that presented a different way of working, and we encouraged them to talk with staff in the open spaces to understand how the space worked for them. We then asked them to visualize through the use of simple modeling materials how an alternative environment might look for them. At the end of the second day, they came away with the view that they could survive and be productive in an alternative work setting that aligned with the rest of the company. The project was completed, and they moved in with no major issues. This is an example of how vital it is to recognize the importance of alignment between strategic and tactical goals. Indeed, this can be achieved when we apply an understanding of sociology and psychology, sensitivity to different employee demographics, and the understanding of infrastructure and operational systems that will best serve the client. Previous articleChasing Productivity and Innovation: Can the Workplace Get Us There?